What Is a Pergola and What Are They Used For? Have you recently moved into a new home? Or, are you looking to revamp your backyard and jazz up the place you’ve lived in for years? No matter what your situation, adding a pergola to your back patio can make a huge difference to your living space. Are you now wondering, “What is a pergola?” If so, don’t panic. Read on learn all about pergolas and how you can use one to improve the appearance and function of your backyard. First things first, let’s clarify what a pergola actually is. A pergola is simply a structure composed of columns and a roofing grid. The roofing grid can either be open or covered depending on the amount of shade you want. Pergolas can also be freestanding or attached directly to your house. A gable roof pergolas have a higher, peaked roof and feature open ends to allow for more airflow. They help provide you with a light, cool environment. Gable roof pergolas feature rafters that are cut at angles. These rafters meet at a ridge in the center of the structure. Flat pergolas (also known as skillion pergolas) are more versatile than gable pergolas. They can be lined with different materials and may feature built-in lighting or fans. They can also feature different pitches or levels to suit your particular needs. While they appear flat on top, these pergolas usually feature a slight pitch (around five degrees) so that water can run off of them. What are the Benefits of Having a Pergola? A pergola adds definition to your backyard and can help you carve out a space specifically for lounging, outdoor dining, or entertaining. This is especially beneficial if you do not have a deck or patio yet. It’s nice to be able to hang out in your backyard without feeling as though you are on display. You can make a pergola more private by adding drapes or screens to the side. If you need additional garden space or want to add some more plant life to your backyard, a pergola is a great option that allows plants to have additional shade. Plants like honeysuckle, wisteria, ivy, and grape vines are especially great for a pergola since they grow from the ground up. If you want to spend time outside in all types of weather, a pergola is a must. You won’t have to worry about sunburns, and you’ll have some protection from wind and rain. Landscaping additions like pergolas can significantly boost the total value of your home. In fact, some reports show it can add anywhere from 5-20 percent to your sale price! A pergola looks great on its own. But, you can also combine it with other outdoor structures like a veranda or gazebo to make your backyard even more appealing. When it comes to choosing a pergola for your backyard, you have a lot of options. In addition to choosing between gable and flat styles, you also have to think about the type of material you want to use, the size of the pergola, and what you’re going to use it for. Ask yourself the following questions to help you choose the right pergola. Are you going to use your pergola on a daily basis, or only on special occasions? Do you want to dine under it, simply lounge by yourself, or entertain large groups of people? There’s no right or wrong answer here, but it’s important to ask these questions because they influence the design. If you live alone and have no interest in entertaining, for example, you don’t need a very large pergola. What are Your Material and Color Preferences? Most people choose either wood or vinyl pergolas, although some people also like the look of steel. Think about the material that will work best for your home and personal style. Think about color, too. Wood can be stained any color, but vinyl is usually only available in white or ivory. Can’t choose? You may also be able to combine wood and vinyl to create a unique pergola design. Think about the size of your backyard and how much space you want the pergola to take up. Do you plan to add other structures? Do you want some room to run around in your backyard, or are you okay with the pergola taking up most of the space? Again, there’s no one right answer, but you’ll need to think about this before you start building. Think, too, about the amount of shade you want. Remember, even open-top pergolas provide quite a bit of shade depending on the spacing of the crossbars. What Kind of Features Do You Like? You can also add a variety of features to your pergola to personalize it and make it fit your style. Your options are almost limitless when it comes to the size of the posts and columns. You can also add arched or artisan-style tops if you want to really set your pergola apart. Now that you have a clear answer to the question, “What is a pergola?” do you think that adding one to your backyard is right your you? 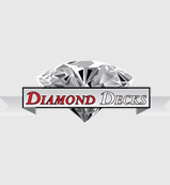 If you answered yes and live in or around the San Antonio area, we can help at Diamond Decks. Contact us today to get a quote or find out how we can help you add some style to your back patio. Don’t forget to look at some of our past work to get an idea of what we can do for you! Share the post "What Is a Pergola and What Are They Used For?"